I really need to dust off, or ( in the case of Maine right now) blow the pollen off this blog. Even though I haven't posted anything for 10 days, lots has been happening with the coat project. I guess you have to call it serendipity. The perfect book has come to me from my partner Martin's late mom, Harriet. 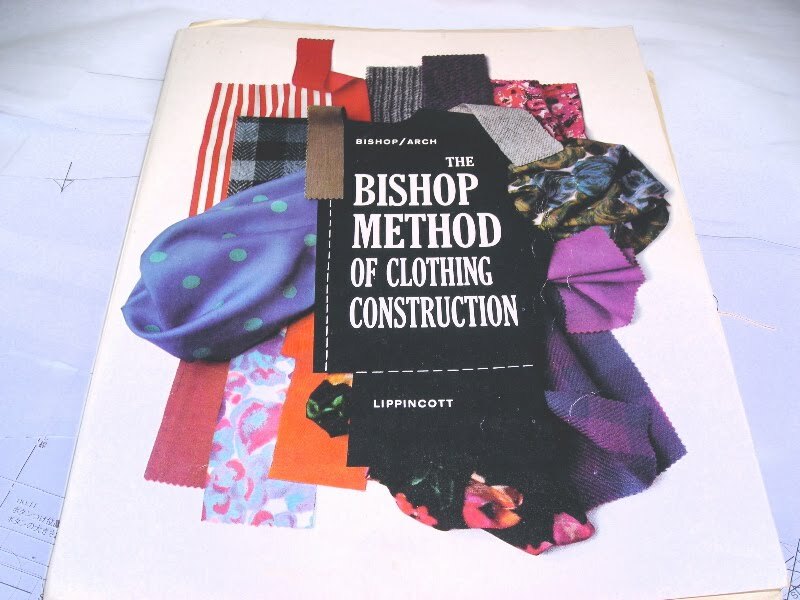 The Bishop Method of Clothing Construction , Circa 1959. 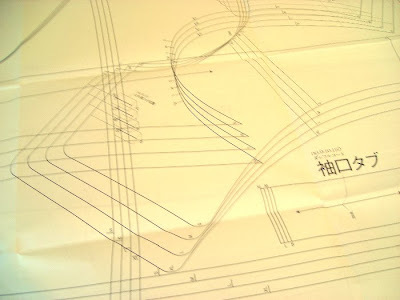 Holy smokes, here is more technical information on the true ART of sewing than I will ever be able to absorb. It's both fascinating and terrifying all at the same time. The one theme that repeats over and over in this book is "PERFECTION". Apparently if I can achieve grain perfection, cut to perfection, stitch to perfection and press to perfection I will eliminate "the fireside touch". This seems like a lot to live up to, but there's no turning back now. Miss Edna Bryte Bishop and I are in it for the long haul. Thank you, Harriet for this most wonderful gift. PS Muslin #2 is complete and will have its unveiling next. I've really had a hard time sleeping this week. My butch project, the outdoor shower, has been WAY more difficult than I imagined. I've been physically beat by the end of the day and my hands ache so during the night that I just can't ever feel rested. Ok. enough with my personal problems. I'm so disappointed (but not defeated) by the fit of the muslin that I've decided to just jump into the alterations. I've found some good internet sites on the topic. 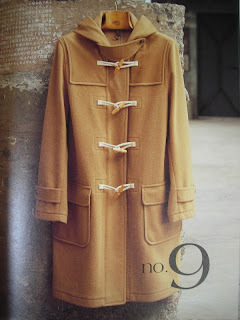 One of the best has to be The Great Coat Sew Along blog by Marji. This blog is a wealth of information. I just wish I had been starting my project while it was active. Still it's an inspiring resource for anyone who wants to kick their skills up a notch. In my case, that's several notches! All the alteration sites I've found say to start at the top and work your way down. Because I think the shoulders are a little narrow I'm going to add an extra 1/2" to each side. I may potentially line this coat with thinsulate, so I think a little extra room will be necessary. I cut the pattern perpendicular to the shoulder line and then changed the angle and cut parallel to the grain line down the whole length. My Swedish tracing paper made it very easy to separate the two pieces and then tape strips of paper to connect it all back together. Easy! To maintain the grain line, alterations have to be made at the side seams. This coat has a very straight vertical look to the back. The front piece actually comes around under the arm and onto the back before it connects to the narrow back panel. I guess this is supposed to be slimming?? Right now it's a disaster. 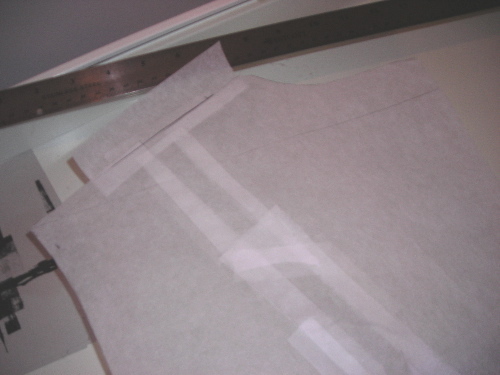 To make more room at the sides I'm going to use the "seam allowance" method. This is a pretty slick trick. Starting at the bottom hem I cut the 5/8" seam allowance up to the arm pit, stopping 5/8" away. The strip is then pivoted over the amount I want to gain. In my case I'm adding another 1/2". This way I've added a slight flair to the back without screwing up the armhole (which is WAY beyond my ability to change). So far I've added 2" to the width of the coat. On to the front where I repeat the process. Because I stick out more in the front than the back, I've added an inch to each side. Hopefully this will stop the material from pulling across the back when the coat is pulled closed on the front. These steps have added 5" around the coat. Will it be enough? I hope. It's a cold rainy day here in Maine. The perfect day to "play winter" by putting on a shirt and wool sweater before trying the muslin. Yikes, I was worried that the XL was going to be small, but this is crazy. There just doesn't seem to be any "ease" built into this pattern. I've taken a sharpie and drawn where the toggles will go. This helps establish the overlap on the front. It's really pulling across my hip / gut. Does this make me look fat???? And I haven't got a clue what's going on in the back. It's bunched up all over. So I experimented by letting the front out by about 2 inches. I think it's a start in the right direction. In addition to at least 2-3 extra inches all around, the shoulders may need to be just a touch wider. I'm not a fan of huge shoulders but I'm having a hard time getting my arms into this coat. Speaking of arms, I'm also afraid that the sleeves are too narrow and tapered. Does anyone else think they look out of proportion for the coat? I'm taking a little break from the blog to work on an outdoor shower that I've been dreaming of for years. Hey, I can do butch stuff too! LOL. When the blog returns I will have rummaged around in the attic for my tripod and taken some pics of myself in the fitting muslin. After months of just looking at the pretty pictures it was time to pull out the pattern. Thanks to many web sites I was pretty well prepared for what it would look like. Still, that initial once over is pretty shocking. All the pattern pieces, in all 4 sizes, overlap each other in random directions. So, unlike an American pattern where each piece can be cut out of tissue paper, I will have to make my own patterns from the pattern sheet. A website somewhere recommended a product called Swedish Tracing Paper which is available through Amazon. 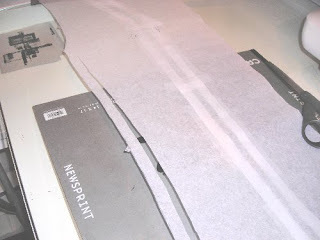 It comes in a roll of 10 yards x 29" and resembles a very lightweight interfacing. It's terrific stuff and I would highly recommend that you try it. It's so much better than that flimsy easy to rip tissue paper. Apparently the stuff can actually be sewed to make a muslin, but I'm going the traditional route. Plus I don't want to go through the extra step of having to take it all apart when it's time to cut the fabric. Ok, here is my process. First I locate a piece that I need. 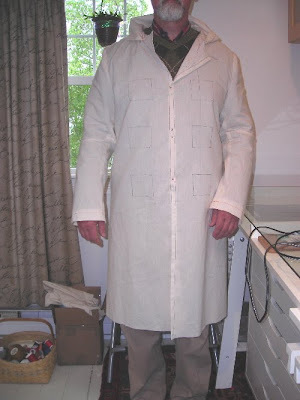 In my case I will only need the coat back, front and sleeves to make the muslin. 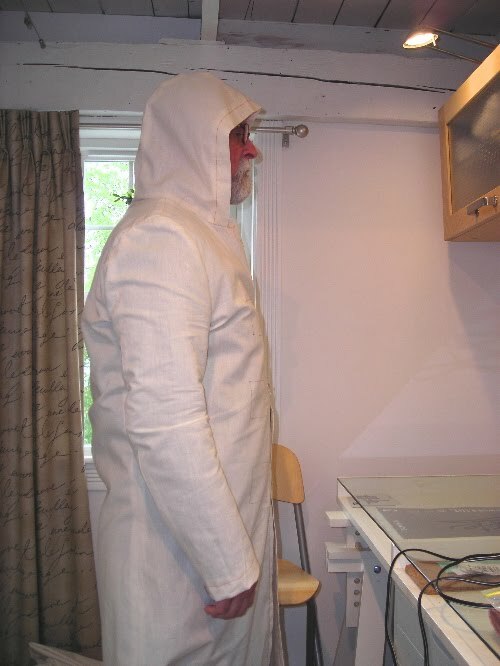 (I later added the hood to better define and reinforce the neckline) Remember! ..... THE PATTERN DOES NOT INCLUDE THE SEAM ALLOWANCES! 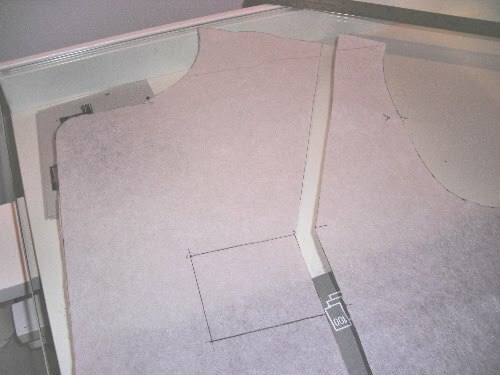 So I added 5/8" allowances to the sides and 1 1/2" hems for the sleeves and coat bottom. Since hindsight is always 20/20, I wish I had made all the vertical seam allowances 1" . This would have given me more room for alterations. The layout guide shows all the seam allowances (metric of course! sigh), so I also consult it frequently for any oddities. (On my coat something funky is happening at the front lower hem which I will figure out later. While tracing you may encounter little marks perpendicular to the sewing lines labeled with the size. 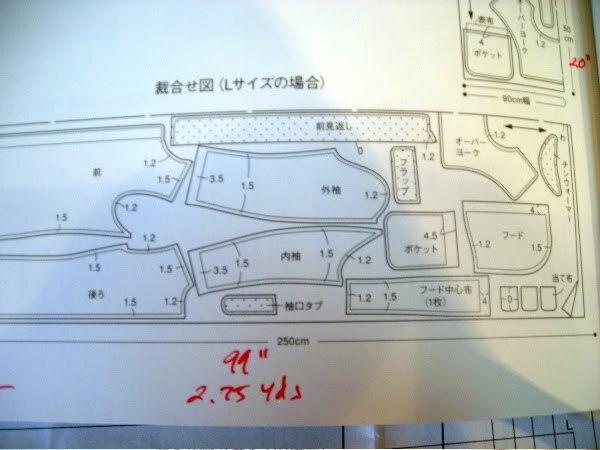 These, I have discovered, are matching points, so I mark and cut the little triangles that appear on American patterns. I mark the grain lines and write myself notes on the pieces. 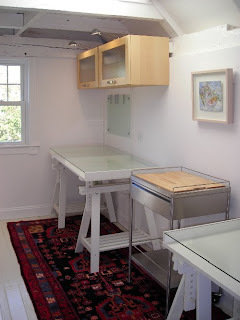 The tracing paper is very durable and forgiving. When I screw up it's very easy to tape on a piece and keep going. Fabric in hand, it's time to pull out the pattern and get down to business. 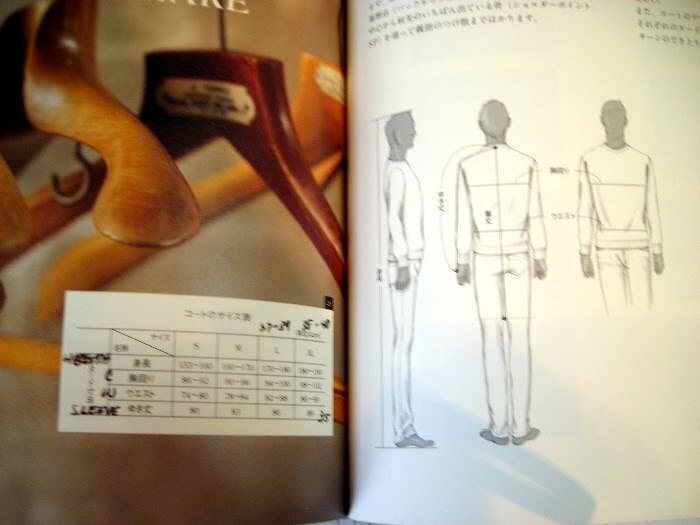 My pattern has sizes S - XL , a size chart and figures of a man showing chest, waist, arm and height. Using my handy dandy dashboard converter I find that the chest measurement for Size M (which I consider myself to be) is only 35" - 37". Yikes! I will have to go all the way to Size XL ( 38" - 40" chest) to get even close to my 40" chest measurement. Clearly I'm going to have to learn how to alter a pattern if this coat is ever to fit me. I will start by making the basic pattern pieces using the XL lines, sew up a muslin and see just how SMALL this coat is going to be. Wish me luck! After calculating my yardage it was time to hit the streets of New York. I'm so lucky that Brian is willing to go with me on these excursions. If there's a promise of Chinese food, he's willing to put up with just about anything. I drove from Maine and met him at the Secaucus rail station in N.J. From there it's just a short train ride right into Penn Station. We both love coming up the stairs onto 7th Avenue. The collision into all that energy. A few blocks North and we're in the middle of the garment district. I found my fabric at AK Fabrics, 257 W. 39th. It's a charcoal and brown wool herringbone. 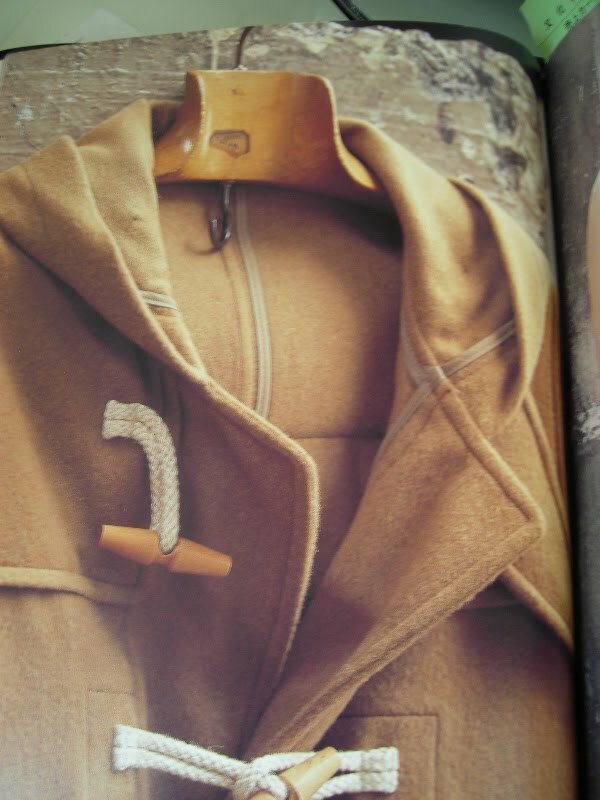 The toggles are genuine horn and leather. The buttons are also horn from C & C Button, 230 W. 38th. The pockets and throat latch will be lined with black cotton flannel. The body and sleeves will be lined with a heavy black satin. Sadly I couldn't afford the imported Italian cashmere at Rosen & Chadick. Brian and I did enjoy the ride in their opulent elevator to the 2nd and 3rd floor showrooms though. The salesperson was completely humorless when Brian asked if the $189 price on the end of the bolt was for the entire bolt. It was hysterical, but she obviously didn't think so. I can't imagine getting up the nerve to cut fabric that expensive. The unit converter widget on the iMac dashboard has become my best friend. If you study the fabric layout diagrams carefully you will see where the fabric has been folded. There are a couple of different layouts for the coat that I'm making. One with 58" wide fabric and one with 36" wide fabric. 36"??? That must be the imported Italian cashmere at a mere $189 per yard. 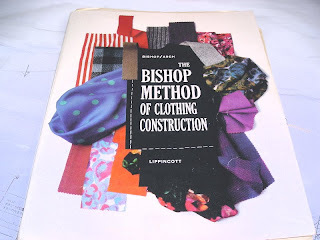 (More on that funny story later) I converted all the lengths and widths to inches and yards, wrote them in my pattern book and took the whole mess with me on my shopping expedition. Since I don't read Japanese, I've made some assumptions. The dot pattern on pieces like the pocket flap, sleeve tab and front facing must mean that those pieces are interfaced. And since parts like the pocket, yoke, and pocket flap appear twice, one must be a lining. Makes sense to me. Because.......it just can't be a blog without it! Lindsay Lohan's banned from clubs, out of work & Twittering her nights away. Here she is falling into a cactus! Here is the book that I am using. Although I found it on Ebay, I actually ended up ordering it on Etsy from the same seller. I have to admit that I was dubious about ordering an item from Japan. I envisioned all sorts of issues with customs, and pretty much convinced myself that I would probably never get the book. Kiss that PayPal transaction goodbye. But....Hooray! It arrived in about two weeks in perfect condition. 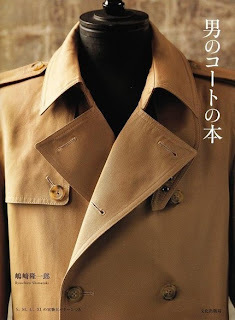 I have decided to attempt the toggle coat. Interestingly, it's not lined. All of the seams are covered with bias tape. Not only does that look difficult, it's just not practical for this cold climate. So I will plan on a full lining and sizing the coat so that it will fit comfortably over a shirt and sweater. This is my small studio where all the magic will happen (and great amounts of Peet's French Roast will be consumed) . Trust me, it's not as pristine as when this picture was taken. I have already started the project. In fact, the muslin is already sewn. So these first few posts will get everyone caught up to speed. This is my first ever blog, and I will attempt to include all the sites and sources that have helped me up to this point. Hopefully, they will be helpful to you as well. I am a gay man living on the coast of Maine. I can honestly say that I have a fabulous and rich life. Maine is a beautiful place, but the winters here are damp, cold and worst of all...... LONG. 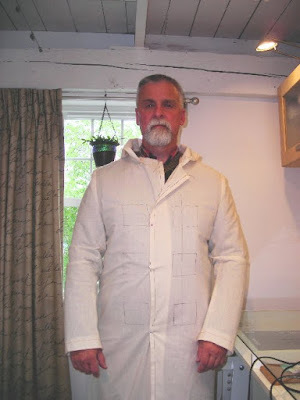 Next winter I hope to be staying warm in a well fitting, well made coat that I've crafted myself. This whole project developed quite unexpectedly. I have an adult daughter in CA who is a textile design graduate of the California College of the Arts. Her enthusiasm for all things fabric is truly inspirational. There is nothing I love more than prowling the garment district in NYC looking for amazing things that she cannot find in the Bay Area. But NYC is a good 6-7 hours drive from here, and I don't get there all that often. Because I could not get to NYC before Valentine's day this year, I turned to Ebay. I was thinking some vintage sewing patterns would be right up her alley. 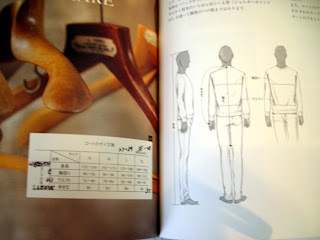 It was there that I stumbled upon a pattern book of Japanese fashions. "Cute Clothes without Hemming" Brilliant for my artist daughter. But what else did this seller have? "Sewing Men's Coats" Gorgeous pictures of a classic trench coat, a peacoat and a camelhair duffle coat. I ordered both books and they arrived from Japan in about 2 weeks. I'm not sure if my daughter has attempted anything from her book, but I'm ready to dive into the deep end of the pool. I invite you to follow along on this sartorial adventure. 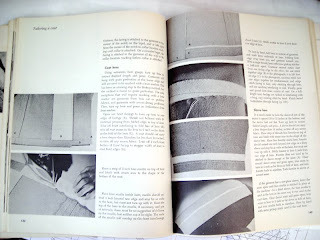 Oh, and if you have one of these pattern books but have lacked the courage to start...... Let's do it together.